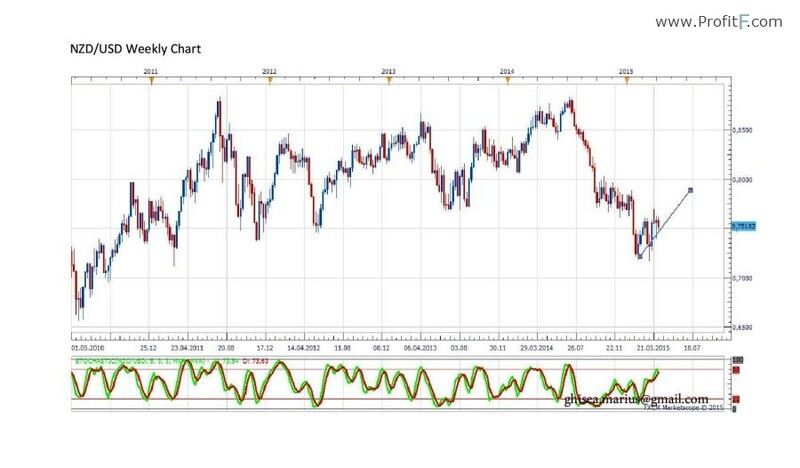 According to MACD on daily chart, the NZD/USD pair is in uptrend. The price is above EMA 55 on daily chart and this is also a confirmation for uptrend. 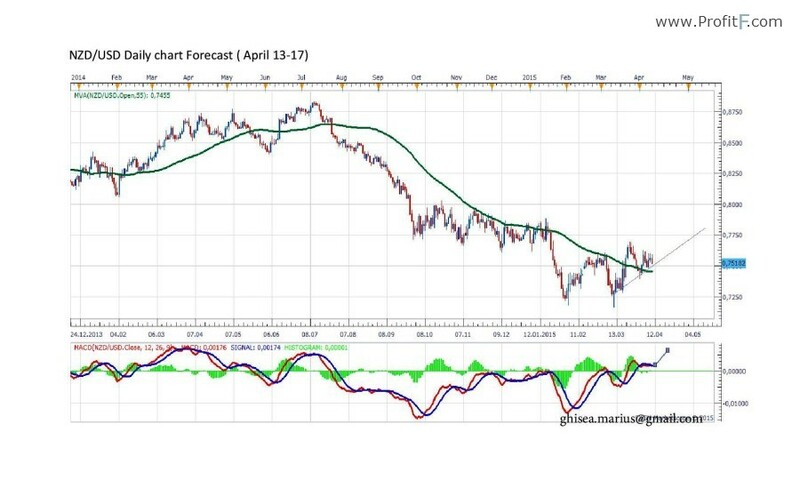 The weekly chart confirms also an uptrend for NZD/USD. The bottom for downtrend was at 0.7233, where a pattern was closed. According to weekly chart, NZD/USD might go at 0.7782, in order to form a triangle in long term.